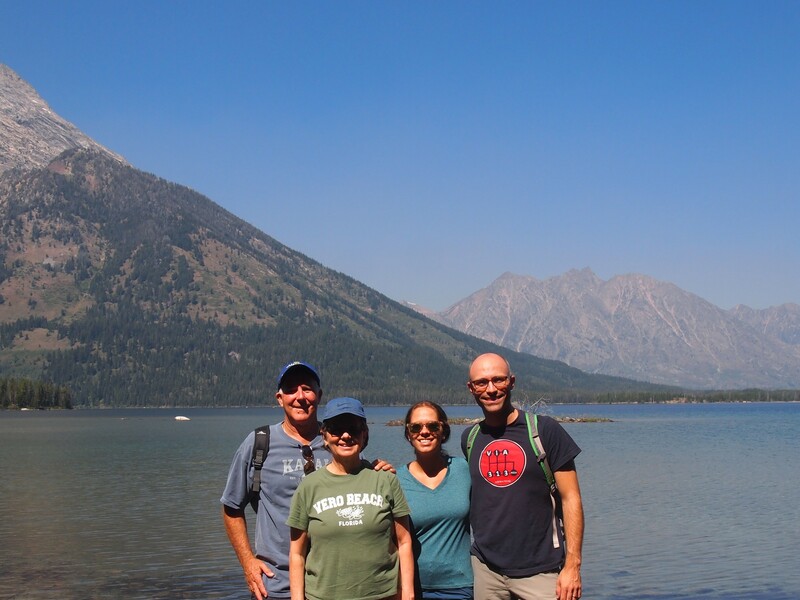 For Labor Day weekend, my parents planned a trip to Grand Teton & Yellowstone, so we decided to go up and meet them. 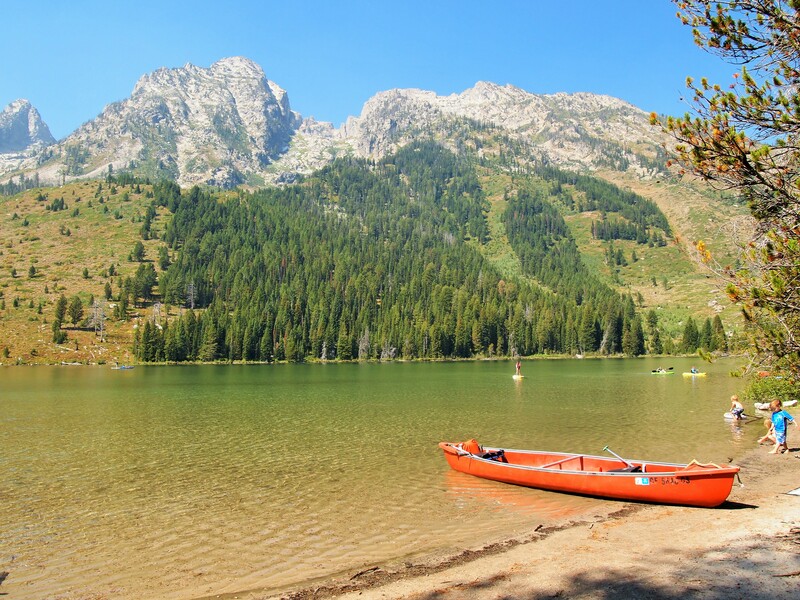 When we first moved to Salt Lake I thought we’d go to Grand Teton all the time; it’s only 5 hours away! But, as things usually go, we haven’t been to the park at all since the move. So the weekend was a welcome opportunity to get back to a place we loved during our road trip in 2014. Since my parents were renting a cabin, we were able to bring Truman with us. 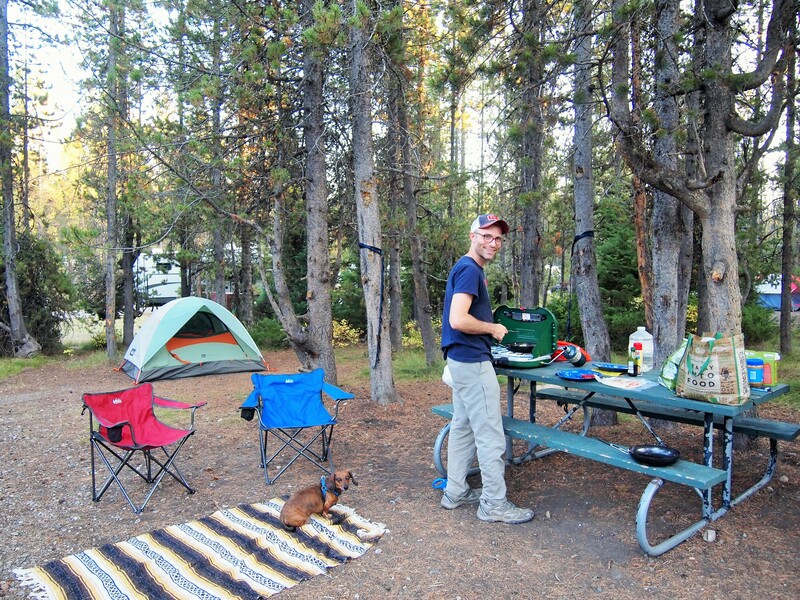 Dogs have limited mobility within the national parks, but with their cabin, Truman could hang out with us in the campground and rest safely inside while we hiked. 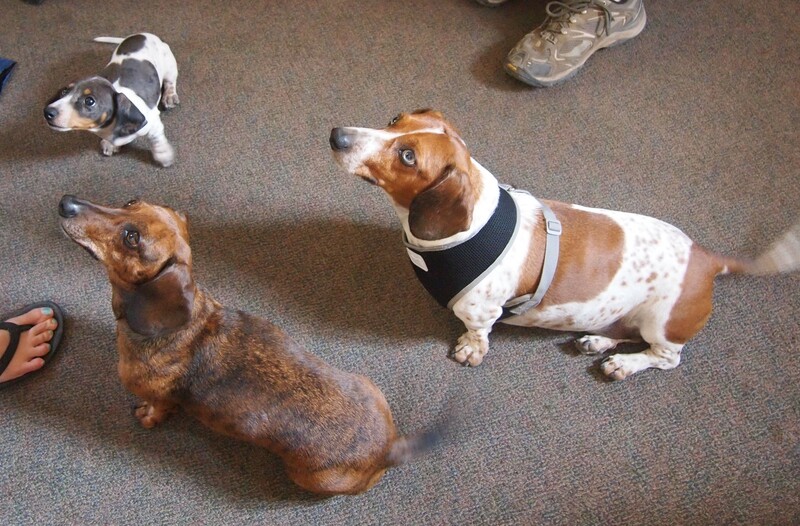 Plus, my parents brought their dachshunds along which made for a fun dachshund reunion. 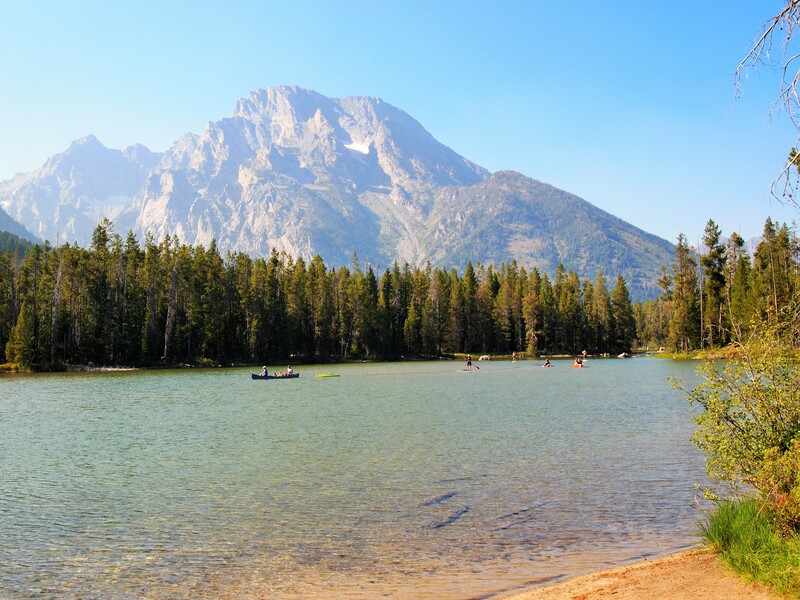 I picked one hike in Grand Teton, one in Yellowstone, and one outside the park so Truman could tag along. It was an ambitious agenda, and at the end of the weekend, Zach and I felt all 20 miles. 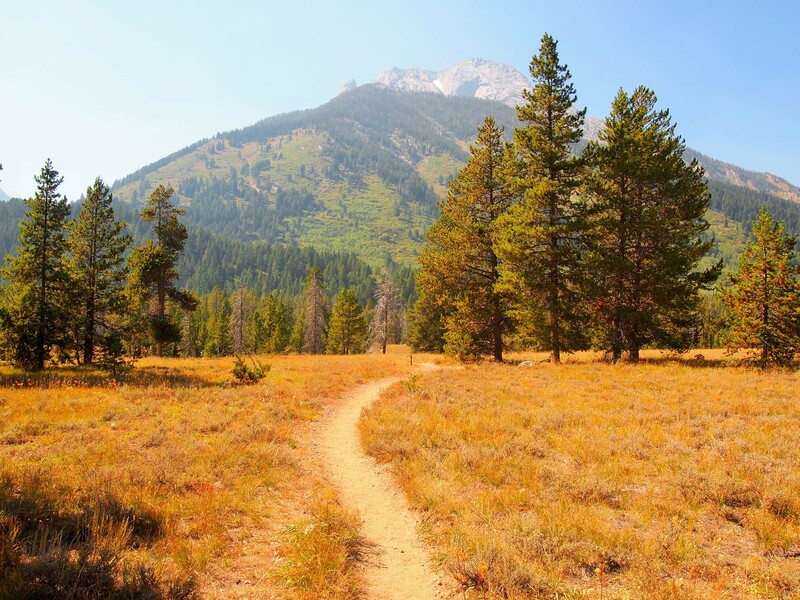 Though Grand Teton is an incredibly popular park, there are plenty of trails which can lead you away from the crowds. I wanted to find a hike that would give Zach and me the length of a fuller hike and allow my parents to do a portion of it. 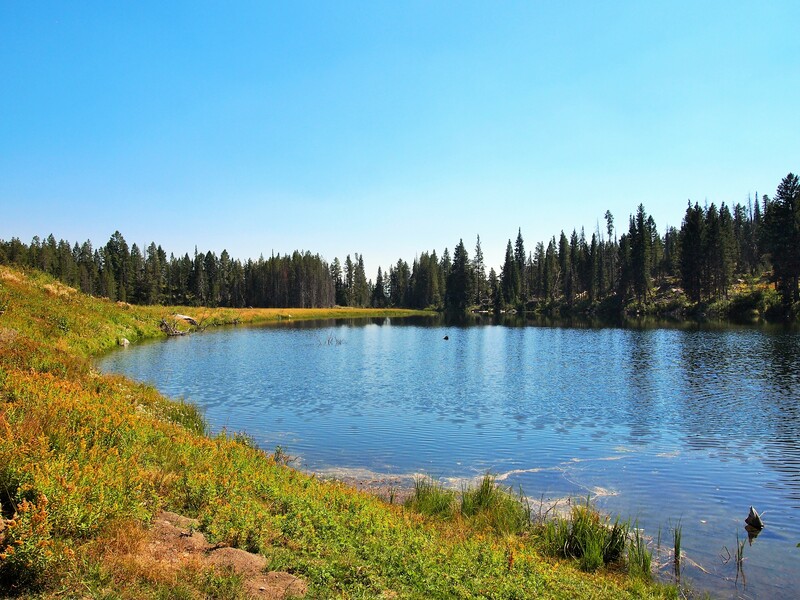 I settled on String & Leigh Lakes for all of us to do, and Bearpaw & Trapper Lakes for me and Zach. Zach and I drove in to Grand Teton after work on Friday, so we weren’t eager to get an early start on Saturday. We didn’t start our hike until a little after noon. 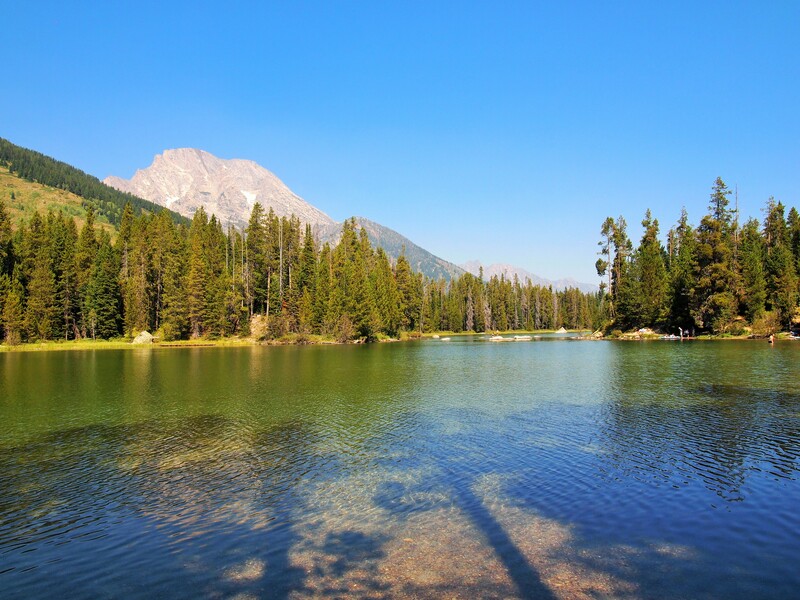 String & Leigh Lakes are immensely popular destinations. The parking lot was full when we arrived so we had to park on the road and walk over to the trailhead. 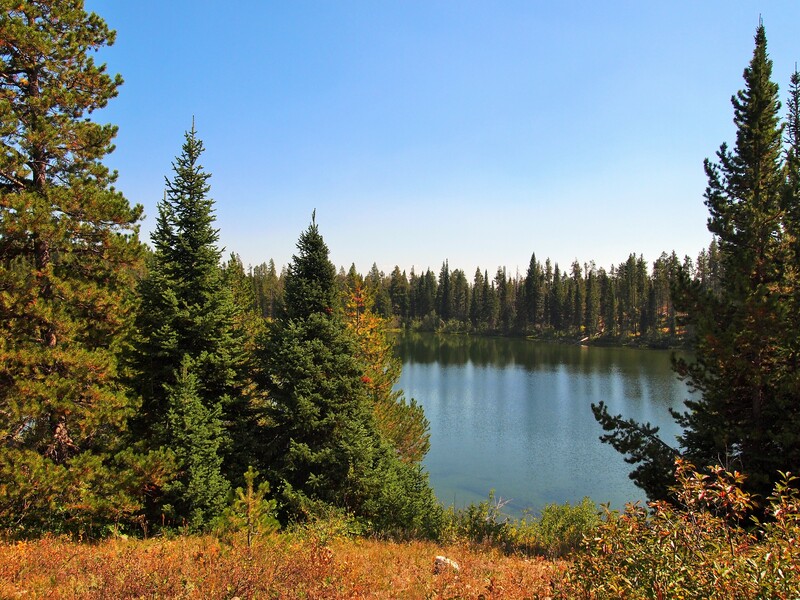 Though there are several variations one could make at String and Leigh Lakes, for our route we planned to walk along String Lake to Leigh Lake itself. There, we would split and Zach and I would continue on to Bearpaw and Trapper Lakes. 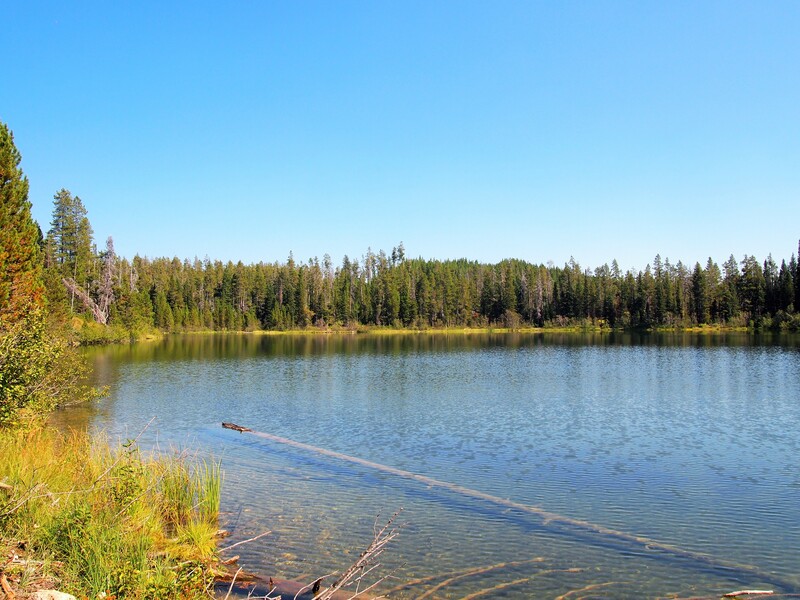 The path along String Lake follows the shoreline fairly closely. 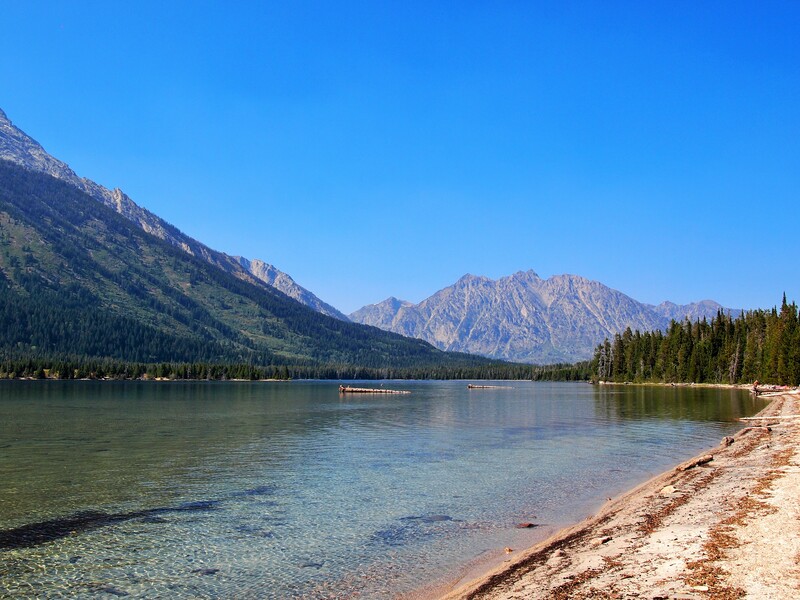 There are lots of small beaches where people spread out and enjoy the day, kayaks and paddle boards dominate the water, and it’s the picture of summer. The trail was well shaded and had virtually no incline; it was the perfect jaunt. 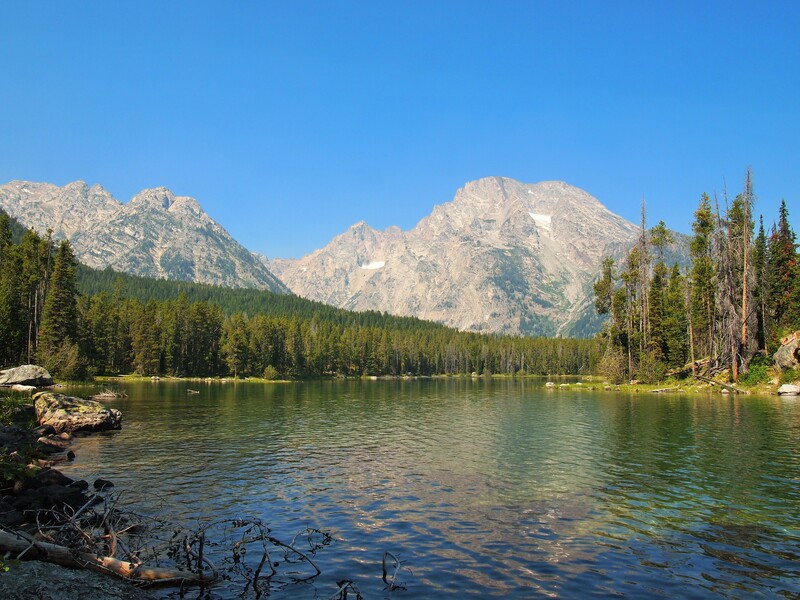 From the portage, the trail followed Leigh Lake’s shoreline for the majority of the way. We saw fewer and fewer people as we continued. This part of the hike was my favorite. 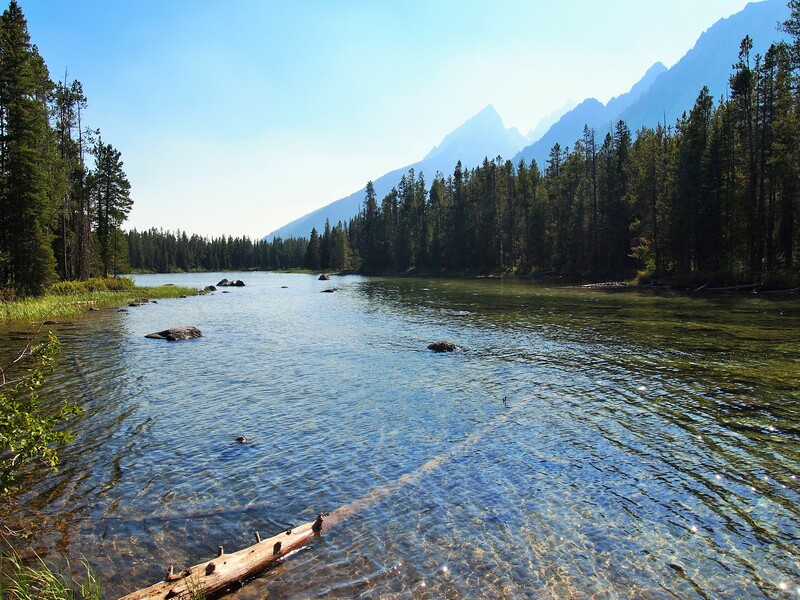 The path remained shaded as we trekked through the lush forest, keeping our eyes peeled for wildlife (bears), and admiring the lake’s crystal clear waters. We passed several backcountry campsites with beach access to the lake – only a few were inhabited. What a way to spend a weekend – something to keep in mind for another trip sans Truman. Leigh Lake is huge! We spent a long time alongside the lake before we finally began to veer up and away from the shoreline to make our way over to Bearpaw Lake. At this point, my mom was pretty tired. We asked some hikers coming from Bearpaw how much farther it would be, and we were almost there so we kept going. 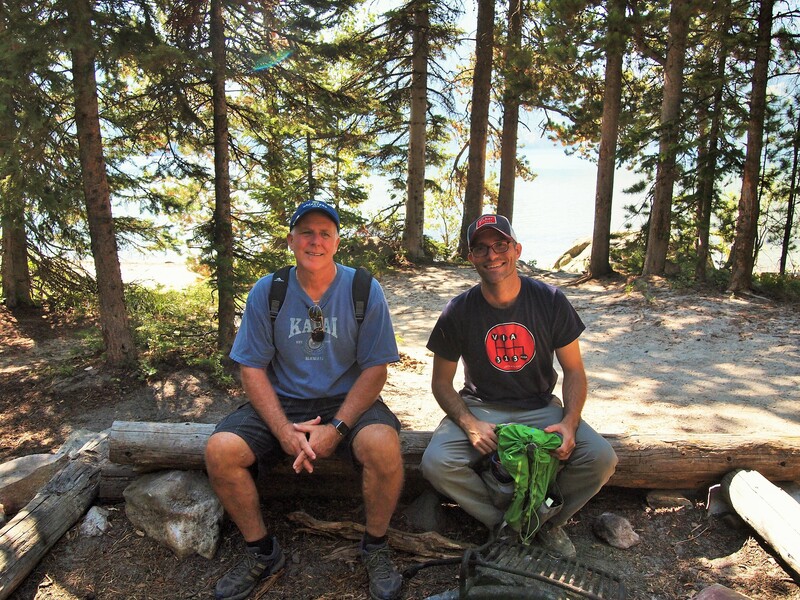 Once at Bearpaw, we found a nicely shaded backcountry site to rest and have a snack. Trapper Lake was only another 0.6 miles away, so Zach and I decided to go there quickly and left my parents to rest/get a head start. The route to Trapper Lake was beautiful, but certainly through what I would consider prime bear territory. 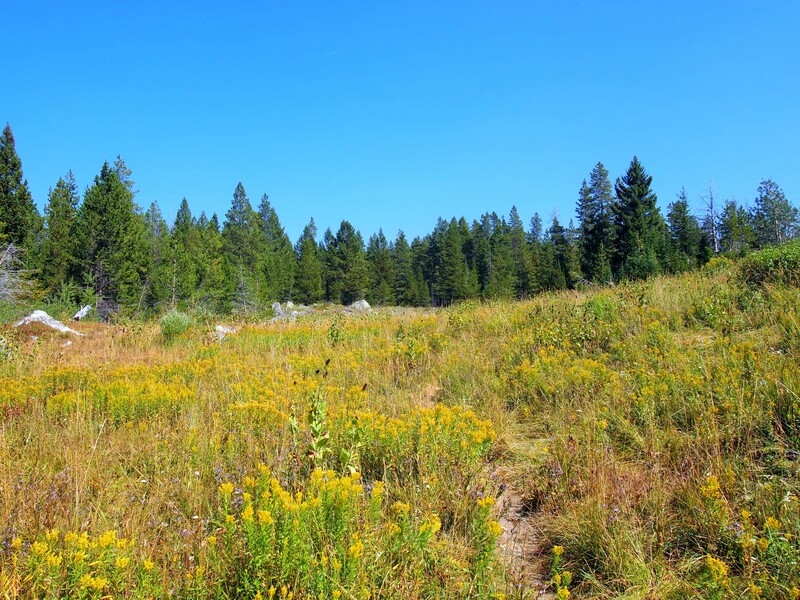 We made sure to make noise as we travelled and soon came out to an open meadow below which lay Trapper Lake. We stayed there for a little while, admiring the serenity of our surroundings. It was certainly a nice reward to reach the fourth lake of the day. But conscious of my parents, we turned to head back to Bearpaw. They weren’t where we left them – but there was no sign of a struggle, hehe – so we figured they had started out ahead of us. It didn’t take us too long to catch up with them, though I did let the worst scenarios run through my mind before we found them unscathed and intact. Overall, this was a great hike. Long, but not overly taxing and quite a bit more docile as far as what we’re used to in the Wasatch. My parents were troopers, my mom in particular. They definitely didn’t wake up thinking they would hike 9 miles that day. We all deserved a drink afterwards so we dropped in at the bar at the Jackson Lake Lodge to toast the day and the company.